Boadicea, queen of the Iceni tribe (people who inhabited the area of nowadays Norfolk), an amazing barbarian. Every time I utter these words, it’s like a lot of admiration comes out. This is how I remember her from high school. I made a whole thesis for my English certificate about a powerful woman of forgotten times. Known to have been of royal descent, Boadicea is described everywhere as having the spirit of a fighter, a woman of an out of the normal courage. Her image is very strong and weighty. A long, red haired rebel with a harsh voice and a piercing glare, a fire against the Roman oppression. In 60 AD, she led a major uprising against occupying Roman forces of Gaius Suetonius Paullinus through which along with her warriors successfully defeated the governor’s Legion and destroyed the capital of Roman Britain at Colchester. But later, while heading to London, she was defeated and died in unknown circumstances. 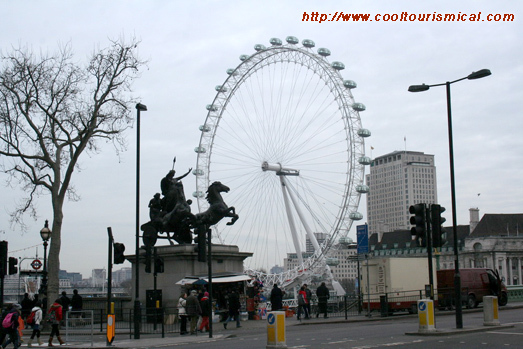 Boadicea (translated meaning “victorious”) is still a heroic symbol of Britain. For me, a model of pure feminine courage. So of all the wonders of London, what really impressed me was Boadicea’s wonderful statue, the chariot leading the reddish tornado to a glorious battle against the time. Great names are always worth remembering. Last Viking Queen? I think not. Last Queen of the Iceni certainly. Vikings did not arrive for around 7 centuries after her still much lamented death.